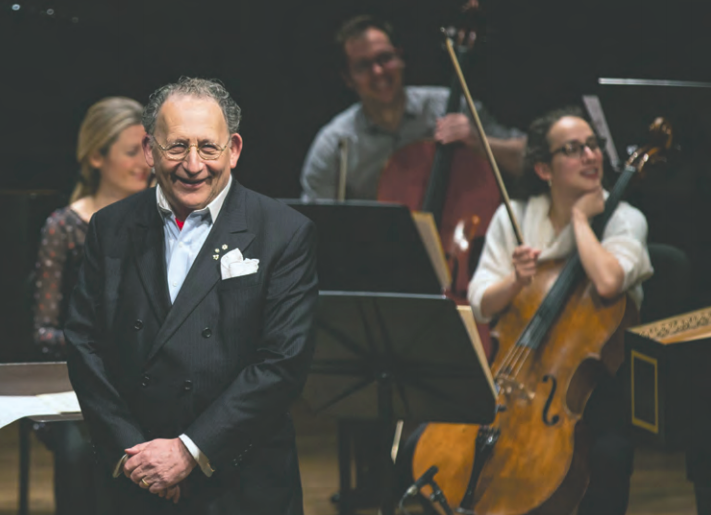 Shortly after his third birthday Boris Brott found himself with a violin and bow in his hands. It was the 1940s, and it was perhaps not surprising because little Boris was the first-born to his musician parents, Alexander and Lotte Brott. The family was living in his grandparents’ fourth-floor walk-up on Edouard Montpetit, then called Maplewood, in Outremont, and young Boris was surrounded by music. As it turned out, he was gifted, and that winning combination of nature and nurture led to advanced studies, and a broad international career. Now 73, he commutes to Montreal from his home in Hamilton and is piloting the McGill Chamber Orchestra through its 78th year. As he prepared to lead this highcaliber formation once again in two versions of Handel’s Messiah, and a special Christmas concert at Notre Dame Basilica, Brott reflected on a childhood and career that included taking over the orchestra founded by his late dad. “My earliest recollection is giving concerts. Every Saturday my mother would put out my stuffed animals and put bow ties on them, and I had to give concerts for them, whatever I was practicing at the time,” he said from the family cottage in Muskoka. When he was five, legendary conductor Wilfrid Pelletier, a family friend, invited young Boris to perform as a soloist with the Montreal Symphony Orchestra in its Young Persons concerts, then held at the Auditorium du Plateau, opposite Lafontaine Park. His assigned piece was a new composition by his father. Asked by Pelletier in an interview during the show what it was like to prepare a piece written by his father, young Boris replied: “Most enjoyable, except every time I learned to play it, my father would change the notes!” By the time he was a West Hill High School student, Boris realized he wanted to be a conductor. With friends, he created the Philharmonic Youth Orchestra of Montreal and performed as a conductor in public for the first time at l’Hermitage on Côte-des-Neiges. He was all of 15. His advanced training and conducting career in Europe and North America developed from there, and included, after winning first prize in the Dmitri Mitropoulos competition, working as assistant to Leonard Bernstein and the New York Philharmonic in 1968-69. It was at that point that he was hired as a consultant on what was a feasibility project to build a concert hall in Hamilton, and ended up living there after meeting Ardyth Webster, the woman who became his wife and with whom he raised three children. Since the city is close to Pearson airport, it enabled Brott to continue his international career. At one time his responsibilities included being musical director at different times of seven different orchestras in Canada, including those in Regina, Hamilton, Winnipeg, and Halifax. Internationally Brott was musical director of the BBC Symphony Orchestra in Wales, New West Symphony in Los Angeles, and was principal guest conductor of opera at the Teatro Petruzzelli in Bari, in addition to conducting in Verona and Trieste in Italy. A principal focus, since 1989, is the National Academy Orchestra he founded in Hamilton, which offers professional training for up to 20 weeks in which successful applicants are paired with established professionals. His younger brother Denis Brott, who played cello with the Orford String Quartet for more than eight years, is artistic director of the Montreal Chamber Music Festival. Brott says conductors Igor Markevitch, Pierre Monteux, and Leonard Bernstein, were important influences, and as for repertoire, he enjoys playing works by his father, who wrote more than 100 orchestral pieces. As for more traditional repertoire, Brott says he has a particular love for Mozart and Mendelssohn and the late Romantic masters Mahler, and Bruckner. The orchestra’s current rebranding as MCO is an attempt to send a message to newer audiences that although the orchestra emerged from the McGill Conservatory where Alexander Brott was a professor, the orchestra is not a student endeavour, but is made up of “the finest professionals in Montreal. “The quality of what we produce is on an international scale,” Brott says. It also signals to the MCO’s donors and supporters that the orchestra is distinct from the university when it comes to financing. Among changes, the repertoire now has two thrusts, the Beaux-Arts series that Brott says “looks at music in a visual or theatrical sense” and is basically instrumental. The second is the Lyrique series that has a choral focus. Interestingly, the first Messiah to be performed November 30 at the Church of St. Andrew and St. Paul on Sherbrooke W. is the traditional version, to be sung in English. 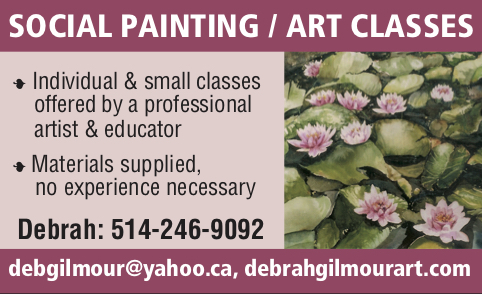 It is part of the Beaux-Arts series. It features soprano Hélène Brunet, countertenor Daniel Taylor, tenor Isaiah Bell, and bass-baritone Joel Allison as soloists, with the church choir. Dec. 1, the MCO, with the same choir and soloists, will perform the Messiah in a French version at the glorious Notre Dame Basilica in Old Montreal. Part of the Lyrique series, it is a musical narrative on the Messiah’s creation, written and staged by Pierre Audet and starring Luc Guérin as Handel’s butler. Handel intended that the work be performed during Easter but Brott notes that in Montreal it has become a beloved Christmas tradition. In a lighter vein, the MCO will be welcoming the holiday spirit with another pre-Christmas concert: December 20, the popular Canadian tenor Marc Hervieux, soprano Sharon Azrieli and the St. Lawrence Choir will be featured at the Notre-Dame Basilica. The concert includes the gorgeous Christmas Concerto by Arcangelo Corelli, written in the late 17th century. The program includes Ave Maria, Le premier Noël, White Christmas, Quand les hommes vivront d’amour, Leonard Cohen’s Hallelujah, and Minuit, Chrétiens (O Holy Night). Be the first to comment on "Musician Boris Brott celebrates Handel’s Messiah"